The three great pop culture loves of my life are the X-Men, the Simpsons, and Star Wars. While the first two are well-represented on this site, I've long lamented the relative lack of Star Wars content. But all of that changes this week, as I launch an all new review series: Force in Focus, a weekly look, X-aminations style, at Marvel's original Star Wars comic book that launched in 1977, one issue at a time. But "Force in Focus" will be even bigger than that, as I intend it to be a one-stop spot for all kinds of Star Wars stuff. Because, unlike all the various X-books, Star Wars is a finite series with definitive end point, I'm more willing to take my time with it, and thus, in between arcs of the series (or whenever I need a break, or deadlines get the better of me), I'll be using the "Force in Focus" spot to highlight something related to Star Wars: more essay-ish reviews of Star Wars novels, action figure spotlights, funny gifs or memes, etc. The consistent thread will be the comic book reviews, but the overall goal is to generate regular Star Wars-related content of all kinds. S why now, especially with X-aminations bursting at the seams as it is, and with me still adjusting in the real world to the added stresses and pleasures of having a new Star Wars fan in the family? Mostly, because 2015 is going to be a big year for Star Wars, what with the release of the first film in a new trilogy set for December, with all the accompanying hoopla, new merchandise and web chatter, which makes it a good time to get my voice on the matter out there. Also, because Marvel's new Star Wars series is selling like hot cakes and they're reprinting their old material, in both omnibus form and some new remastered editions of the original film adaptations, suggesting there's an audience for Star Wars comics (and, thereof, reviews and discussions thereof). And also, because, while I really don't have the time for another blog series, I'll also never really have the time, so I may as well just commit to the project and make the time for it. It is, after all, something I've wanted to do for a long time. Specifically, I'm launching the series this week because the latest Star Wars Celebration is this weekend, which seems like as good a tie-in as any, and also because I've finally got at least a few reviews in the bank, which I didn't when earlier dates that made for a natural tie-in (like when the first omnibus was released) presented themselves. The plan is for a new Force in Focus post to go up every Saturday. The numbers suggest most people aren't online as much over the weekends, but some are, and this will provide the site with new weekend content for anyone that is, and ensure there's always something new right away Monday morning for the office drones like me checking in for the first time since Friday (as opposed to how my Simpsons reviews usually go up later on a Monday). Outside of the film adaptations, I have never actually read any issues of Marvel's Star Wars (I have read nearly all of Dark Horse's offerings), so this will be a little bit different an experience than my X-aminations reviews, where so many of the details of that universe are seared forever into my brain. So for anyone more familiar with the series, feel free to call out in the comments important stuff I may have glossed over as we go along. 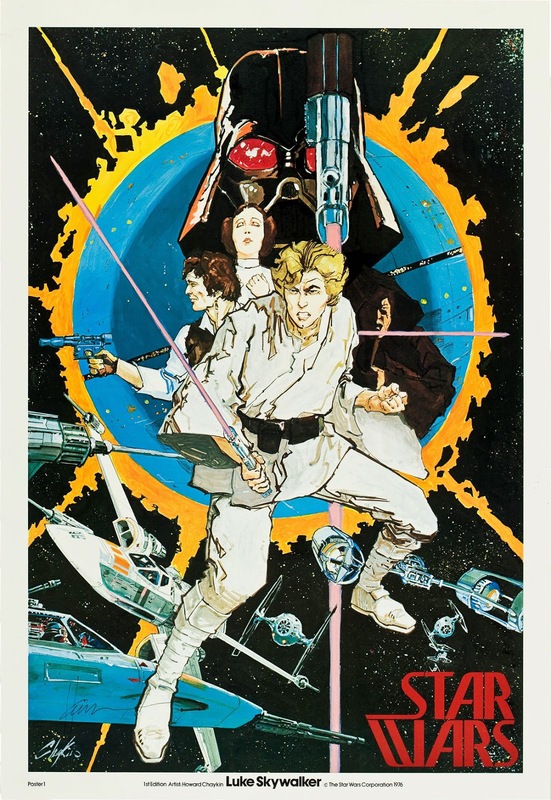 I have a few Star Wars- specific categories in mind for the reviews, but if anyone has any suggestions for specific tropes or character traits to watch out for in this series (a la "The Awesome and Terrible Power of Cyclops" or "Rachel Summers, Cry Baby"), sound off in the comments. I am currently reviewing every issue of the new Star Wars series for Sound on Sight, so check those out if you're interested. I'm not reviewing Darth Vader, Princes Leia, etc., but I usually tweet out my thoughts after reading the issues, so hit me up there if you want to chat about them. Also, I wrote a "Ten Best Expanded Universe Characters" article for SoS, as part of their Star Wars month; check it out here. 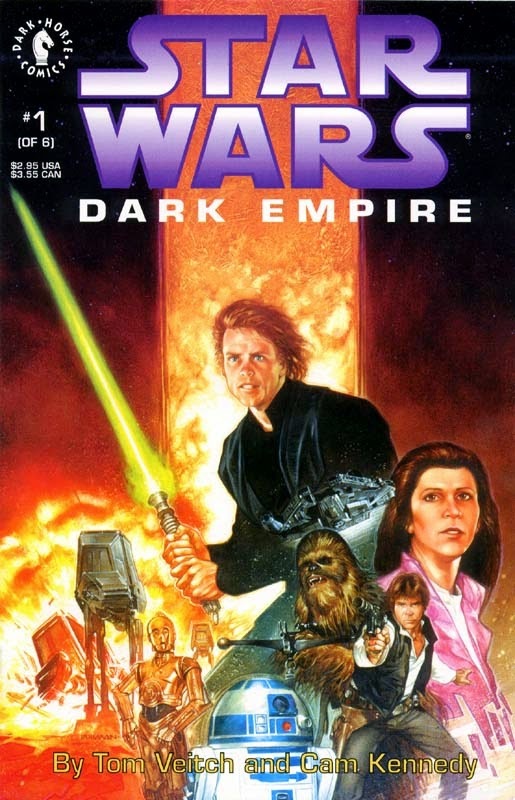 Speaking of the Expanded Universe, a note on terminology: the "Expanded Universe" or EU was the term used to describe all of the stories set within the Star Wars universe across all media, outside of the six films and various TV projects (such as Clone Wars). They were considered to varying degrees canon (and had to be cleared by LucasFilm), but were always beholden to the films and projects involving George Lucas (so if a film contradicted something previously established in a novel, the film was canon, the detail in the book not). When Disney acquired Lucasfilm, all the existing EU tales were re-branded as "Star Wars Legends" and rendered entirely non-canonical (save for what the new films and such may reintroduce), with the new, post-acquisition Expanded Universe. to be overseen more vigorously by Disney and LucasFilm and thus considered canon on par with the films. That said, I will probably use "Expanded Universe" or "EU" much more regularly than "Star Wars Legends" just on the grounds of familiarity; for our purposes, consider them interchangeable terms. It may not even come up much, as the acquisition of the license by Dark Horse in 1991 (the year when the modern, pre-Legends EU really began in earnest) rendered most of the Marvel series I'll be covering non-canonical, save for the bits and pieces later writers picked up and wrote into the new continuity (which I'll call out when appropriate). So basically, Dark Horse's Star Wars comics did to Marvel's original Star Wars what Marvel's new Star Wars comic did to Dark Horse series. Similarly, I am not old enough to be one of those grumpuses who is mad that George Lucas added the "Episode IV: A New Hope" subtitle to the 1981 re-release of Star Wars and thus refuses to acknowledge "A New Hope" as the subtitle of the film. That said, I grew up saying "Star Wars" in reference to the original film, and that remains my fallback term for the movie simply out of habit. For the sake of these reviews, I will probably alternate between the titles as needed for the sake of clarity. Just understand that whichever title I use at any given time, it is for clarity and not because of any agenda that favors one title over the other. 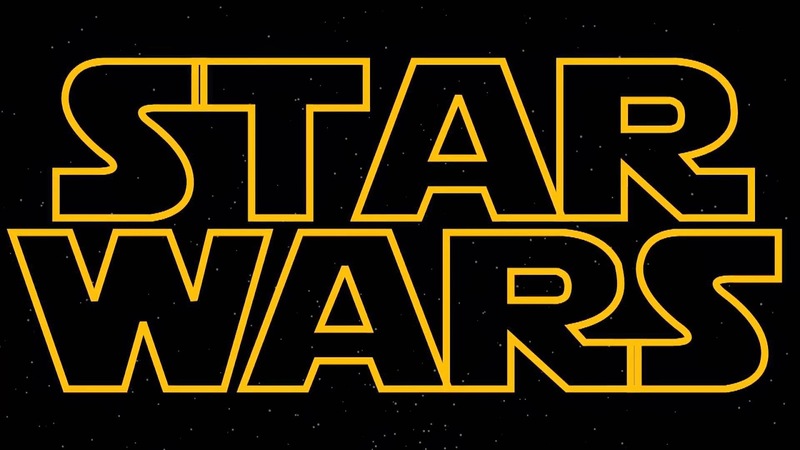 Star Wars (in italics) specifically references either the original film or the title of the comic book series. Star Wars (without italics) references the larger overall universe, and the characters/stories therein. Finally, a couple of tangential projects from other people worth noting: The Star Wars Ring Theory is a fascinating examination of the saga as a whole, one which adds some value back to the prequels, while the Star Wars Minute podcast hilariously examines the films, one minute per episode, one episode per weekday. The hosts (including cartoonist Alex Robinson, who guest-starred on an early episode of Saved by the Bell Reviewed) occasionally skew more negative than I'd like (especially in the current episodes discussing Return of the Jedi) but the show has nonetheless been a great source of inspiration as I've been thinking about "Force in Focus", giving me a daily dose of Star Wars to keep up my enthusiasm for the project. That's about it. So come back Saturday for Force in Focus: Star Wars #1! Excellent! I recall you hinted at it a month or so back in a comment on my blog, and I'm pretty excited for it. I've never read any of this stuff either, but I've wanted to for years, so I picked up the first Omnibus and I have 2 and 3 on pre-order. I'm one of those who doesn't usually make in on here over the weekends, unless I get an e-mail notification of a comment I feel I must reply to -- but I may try to change that for "Force in Focus". 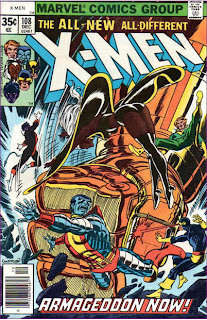 One possible extra, depending on whether they've had any decent accessible reprint in recent years, are the extra stories created by Marvel UK to slot around their reprints of the US title. There were some big name creators before they were famous on these, including Alan Moore. However I don't know how easy the material is to find without tracking down over 300 issues from the (mostly) weekly titles. Ah, one of them Force majeures. … Yeah, I know you’ve already started. I just wanted to chime in with belated support, and since I haven’t (re)read the Marvel #1 yet I figured here was better. Since I can’t get to any of my issues readily beyond the original tabloid-sized adaptation — nor do I have many, period — I was planning on replying to the posts more than to the material you cover; then, of course, Marvel put up digital versions on Unlimited in honor of your new endeavor. I still don’t know about reading along, due both to time constraints and general lack of interest in Star Wars outside the classic films, but I look forward to your thoughts on it all. @Tim: One possible extra, depending on whether they've had any decent accessible reprint in recent years, are the extra stories created by Marvel UK to slot around their reprints of the US title. I would love to cover those stories (though probably all together, rather than in and around the stateside stories they were meant to supplement), but you're right that they're really difficult to get ahold of. I think Dark Horse reprinted some of them in various forms, which means Marvel probably now has access to those reprints, at least (though I have no idea how rights stuff works with UK stuff, other than "surprisingly complicated"). 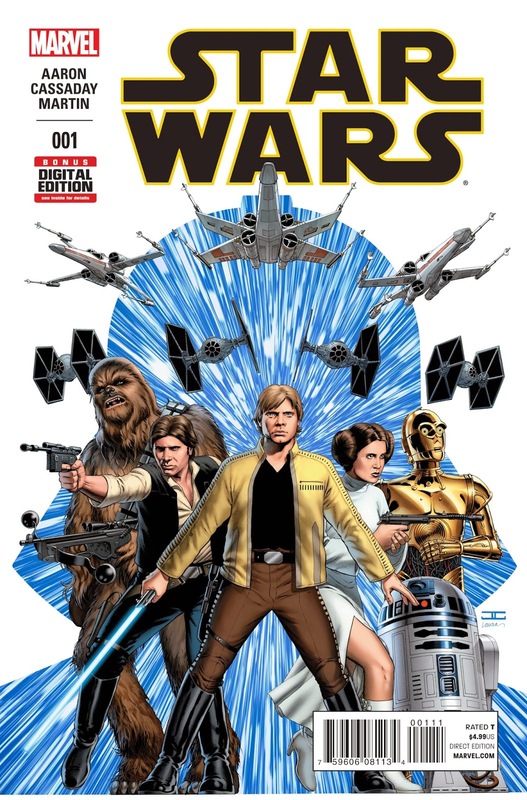 Hopefully, with Marvel's much appreciated interest in getting all things Star Wars comics related out in front of their audience right now, we might see a more user friendly collection of the stories come out in some form or another. I'll be keeping an eye out for such a thing, and should we get one, I'll definitely include them in this series.